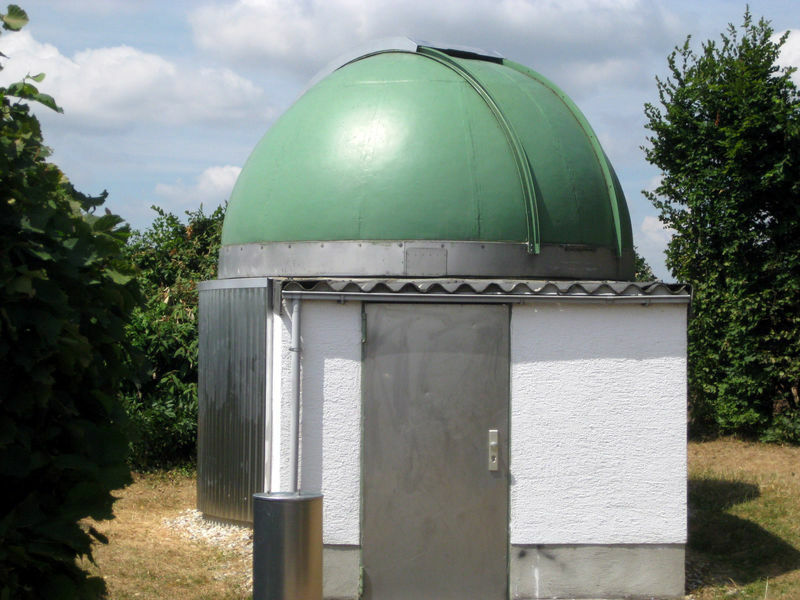 The Kraichgau observatory in Gondelsheim was built in 1985 by G. Henneges and G. Kessler. Since February 1986, the observatory in Gondelsheim has been a registered not-for-profit organisation. The observatory lies approx. 2km outside Gondelsheim near the water tower in Heuert. Driving onto the roundabout as you enter the town, take the exit for Dossental, drive under the B35 and turn left. The road now leads 2 km up a small hill where you will find the observatory. The observatory is open to the public on the first Wednesday of every month, weather allowing. The guided observations are held in small groups with several telescopes. Visible constellations are explained by the guide. Groups can also make separate arrangements for private sessions. Club members meet as and when, approximately every six weeks. There are also guest talks on current topics from the field of astronomy.